These are not cake. 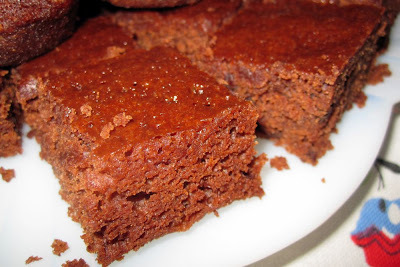 Not brownie. 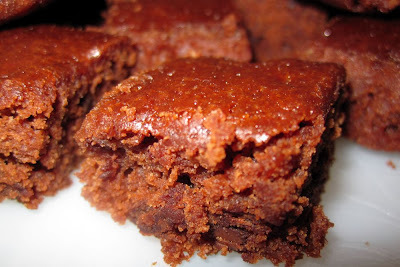 They're cake brownies! I say that because when you taste them, you aren't really sure what they are or how to describe them to others. The texture is somewhere in between. 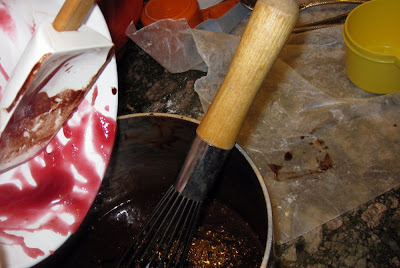 What's fun in these bars is that you mix in raspberry jam. So the berry flavor is throughout, not just a layer on top or in the middle, and not just pieces of fruit folded in. 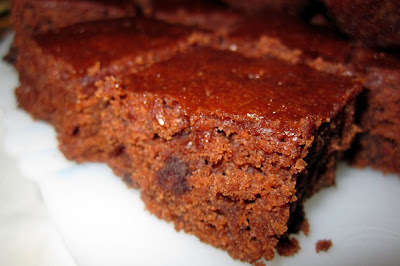 The crunch comes from adding chocolate chips. They're easy to make and you most likely have all these most basic baking ingredients on hand already. Do you eat toast with jam? Perfect! Then you already have jam, too! I'm sure I've mentioned before but just in case, Marlene Sorosky is one of the best recipe authors on Planet Earth and if I share one of her recipes with you, the most appropriate reaction on your part should be that of gratitude and giddiness. So go on, react. Line an 8- or 9-inch square pan with a sheet of foil, letting it extend 1 inch over the sides; butter the foil. Preheat the oven to 350 degrees. 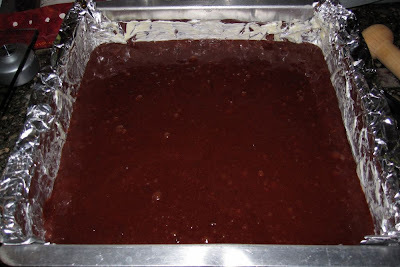 In a medium saucepan over low heat or in a medium microwave-safe bowl, melt unsweetened chocolate and butter or margarine, stirring until smooth; cool slightly. 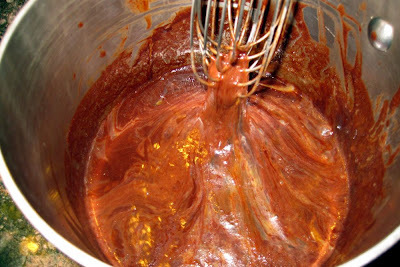 Whisk eggs in. 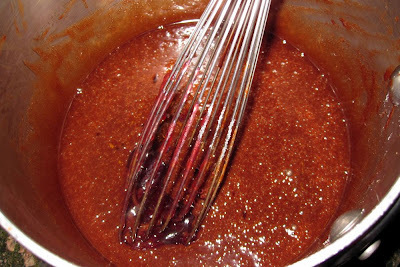 Whisk in sugar, jam and liqueur, if using. 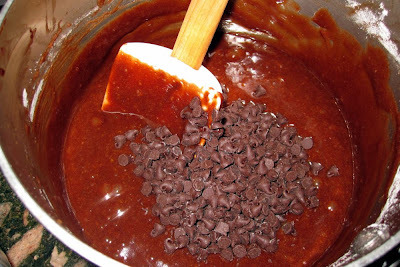 Stir in flour, salt, baking powder and chocolate chips until incorporated. The mixture will be thin. Pour into prepared pan. Bake for 25 to 30 minutes or until a toothpick inserted in the center comes out clean and the top springs back when lightly pressed with fingertips. Let cool in pan 5 minutes; lift foil out of pan and cool completely. The cake may be wrapped and held at room temperature for up to 3 days or frozen. 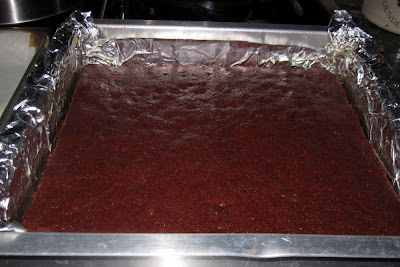 Before serving, cut into squares, approximately 1 1/2 inches each. 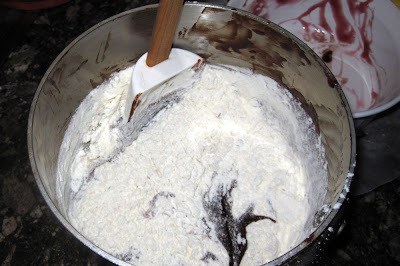 Dust the tops lightly with confectioners sugar, if desired.